The number of carpet warranties existing in the industry are voluminous and ever changing. For example, Companies such as Scotchgard offer stain and soil type warranties. DuPont, the largest supplier of nylon carpet fiber, now and in the past has offered several warranties including Stainmaster plus, Stainmaster Grand Luxuria, Stainmaster Xtra Life and Stainmaster Master Life. Each of these warranties has included one or more of the following: 5-year limited stain resistance; 5-year limited soil resistance; 5-year limited texture retention; 10-year limited texture retention; lifetime anti-static. Other manufacturers have just as many carpet warranties of their own. 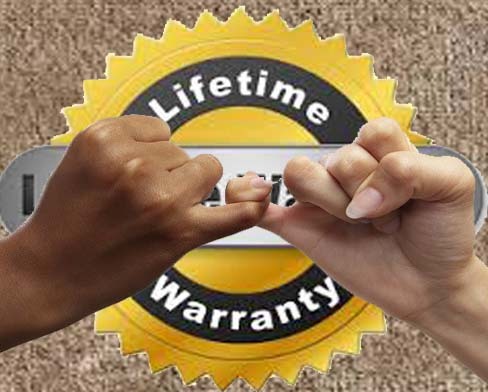 A carpet wear warranty is offered on almost all first grade carpeting that is manufactured today. Carpet manufactures offer wear warranties than will range from 5-years to lifetime. Some big box stores and carpet dealers offer carpet warranties of their own. An understanding of carpet warranties is important but due to their volume, as well as their many similarities, we will cover them only in generic fashion. The consumer, dealer or other individual with the need to know should study carefully any and all warranties that pertain to the product they are dealing with at that time. As a professional it is advisable to collect and digest warranties, copies of which are available through the various carpet and fiber manufacturers and can usually be found on the Internet. While it is seldom done, it is always advisable that a consumer read and study the carpet warranties that are being offered, prior to purchasing a product so that they understand their rights and obligations before making a major purchase. The author is not saying that a dealer needs to set down and explain each warranty to the consumer in advance of the purchase; what he is saying is that these carpet warranties should be available and the wise consumer should take advantage of the availability. If consumers did study the small print in warranties in advance, and not just read the headings, there would probably be a real change in how carpets are marketed. Additionally, the author is saying that a salesperson should not represent a product for being warranted for a use that it is not.